Puppygames seems like they are up to all good once again, with a nice little shoutout on the Playstation blog. This time, they are not only saving us the pitfalls of visiting Basingstoke, but are also giving an arcade game with a modern twist in the form of Ultratron. Bit my tongue trying to say that one fast. 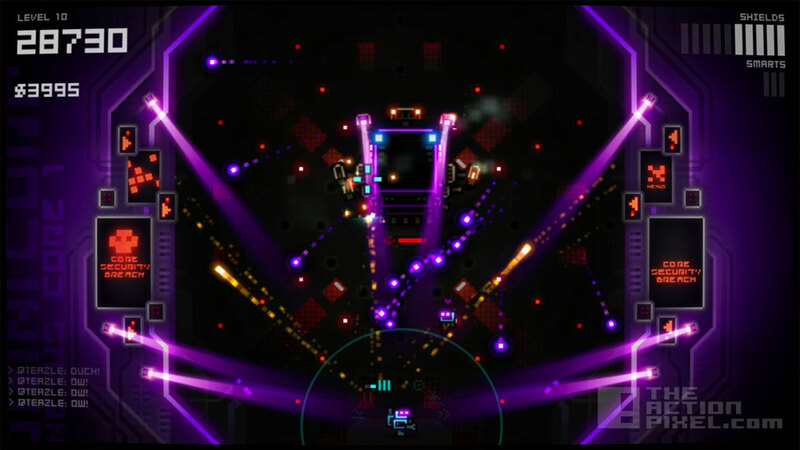 The indie game developer Puppygames gives us revenge sci-fi shoot ’em up with a glowing white hot neon arcade haze, as players will avenge the human race by blasting you way through 40 Robotron-esque levels of 80’s nighclub hell pixel-light chaos. Definitely one for some much needed downtime or commute on a crowded subway. Just don’t let anyone disturb your race for survival and supremacy. Colourful, addictive ‘old-school / new-school’ gameplay, Puppygames is surely flexing their indie-muscle in impressive display.